Pores no more! The last several months have been a battle between me and my skin. It seems no matter what I do, my skin wins! Between dryness and acne flare ups, I am a mess. To top that off, my pores have been noticeably larger, and in all of my 30-something years I have never had this issue. So I picked up this little Boscia diddy and tested it out over the course of a few weeks. MORNING: I applied the product to my t-zone after moisturizer and before foundation. I applied my foundation as I usually do, followed by setting powder and took a closer look at my skin in the magnifying mirror. I definitely don’t see my pores as clearly as I normally do after powder is applied and set. LUNCH: Normally by the afternoon my makeup looks pretty worn in certain areas, but today I do notice that I have less shine. AFTERNOON: Well hell, my makeup still looks matte. 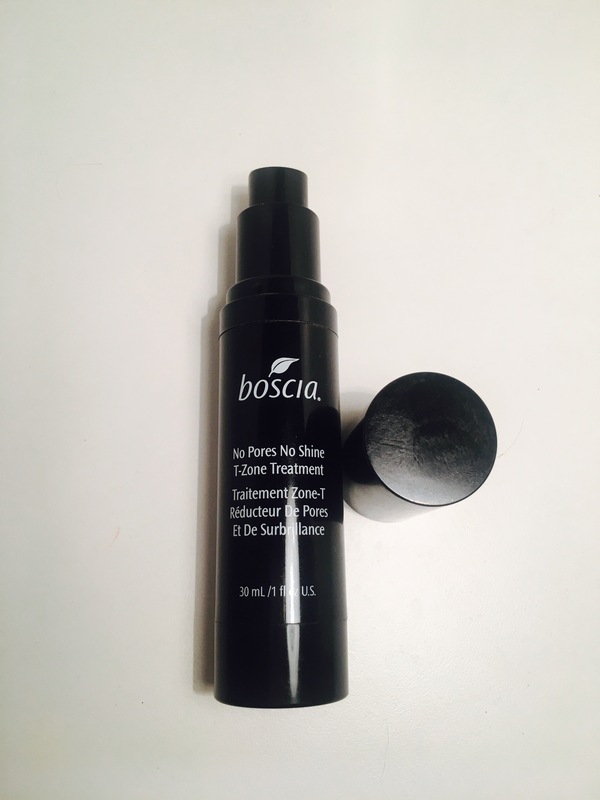 If you are looking for a pore minimizing product, Boscia No Pores No Shine may be a good option for you!